Beginning their career as the most popular surf band in the nation, the Beach Boys finally emerged by 1966 as America's preeminent pop group, the only act able to challenge (for a brief time) the overarching success of the Beatles with both mainstream listeners and the critical community. From their 1961 debut with the regional hit "Surfin'," the three Wilson brothers -- Brian, Dennis, and Carl -- plus cousin Mike Love and friend Al Jardine constructed the most intricate, gorgeous harmonies ever heard from a pop band. With Brian's studio proficiency growing by leaps and bounds during the mid-'60s, the Beach Boys also proved one of the best-produced groups of the '60s, exemplified by their 1966 peak with the Pet Sounds LP and the number one single "Good Vibrations." Though Brian's escalating drug use and obsessive desire to trump the Beatles (by recording the perfect LP statement) eventually led to a nervous breakdown after he heard Sgt. Pepper's Lonely Hearts Club Band, the group soldiered on long into the '70s and '80s, with Brian only an inconsistent participant. The band's post-1966 material is often maligned (if it's recognized at all), but the truth is the Beach Boys continued to make great music well into the '70s. Displayed best on 1970's Sunflower, each member revealed individual talents never fully developed during the mid-'60s -- Carl became a solid, distinctive producer and Brian's replacement as nominal bandleader, Mike continued to provide a visual focus as the frontman for live shows, and Dennis developed his own notable songwriting talents. Though legal wranglings and marginal oldies tours during the '90s often obscured what made the Beach Boys great, the band's unerring ability to surf the waves of commercial success and artistic development during the '60s made them America's first, best rock band. The origins of the group lie in Hawthorne, California, a southern suburb of Los Angeles situated close to the Pacific coast. The three sons of a part-time song plugger and occasionally abusive father, Brian, Dennis, and Carl grew up a just few miles from the ocean -- though only Dennis had any interest in surfing itself. The three often harmonized together as youths, spurred on by Brian's fascination with '50s vocal acts like the Four Freshmen and the Hi-Lo's. Their cousin Mike Love often joined in on the impromptu sessions, and the group gained a fifth with the addition of Brian's high-school football teammate Al Jardine. His parents helped rent instruments (with Brian on bass, Carl on guitar, and Dennis on drums) and studio time to record "Surfin'," a novelty number written by Brian and Mike. The single, initially released in 1961 on Candix and billed to "the Pendletones" (a musical paraphrase of the popular Pendleton shirt), prompted a little national chart action and gained the renamed Beach Boys a contract with Capitol. The group's negotiator with the label, the Wilsons' father, Murray, also took over as manager for the band. Before the release of any material for Capitol, however, Jardine left the band to attend college in the Midwest. A friend of the Wilsons, David Marks, replaced him. By the end of 1963, the Beach Boys had recorded three full LPs, hit the Top Ten as many times, and toured incessantly. Also, Brian began to grow as a producer, best documented on the third Beach Boys LP, Surfer Girl. Though surf songs still dominated the album, "Catch a Wave," the title track, and especially "In My Room" presented a giant leap in songwriting, production, and group harmony -- especially astonishing considering the band had been recording for barely two years. Brian's intense scrutiny of Phil Spector's famous Wall of Sound productions was paying quick dividends and revealed his intuitive, unerring depths of musical knowledge. The following year, "I Get Around" became the first number one hit for the Beach Boys. Riding a crest of popularity, the late-1964 LP Beach Boys Concert spent four weeks at the top of the album charts, just one of five Beach Boys LPs simultaneously on the charts. The group also undertook promotional tours of Europe, but the pressures and time constraints proved too much for Brian. At the end of the year, he decided to quit the touring band and concentrate on studio productions. (Glen Campbell toured with the group briefly, then friend and colleague Bruce Johnston became Brian's permanent replacement.) With the Beach Boys as his musical messengers to the world, Brian began working full-time in the studio, writing songs and enlisting the cream of Los Angeles session players to record instrumental backing tracks before Carl, Dennis, Mike, and Al returned to add vocals. The single "Help Me, Rhonda" became the Beach Boys' second chart-topper in early 1965. On the group's seventh studio LP, The Beach Boys Today!, Brian's production skills hit another level entirely. In the rock era's first flirtation with an extended album-length statement, side two of the record presented a series of downtempo ballads, arranged into a suite that stretched the group's lyrical concerns beyond youthful infatuation and into more adult notions of love. In late 1965, the Beatles released Rubber Soul. Amazed at the high song quality and overall cohesiveness of the album, Brian began writing songs -- with help from lyricist Tony Asher -- and producing sessions for a song suite charting a young man's growth to emotional maturity. Though Capitol was resistant to an album with few obvious hits, the group spent more time working on the vocals and harmonies than any other previous project. The result, released in May 1966 as Pet Sounds, more than justified the effort. It's still one of the best-produced and most influential rock LPs ever released, the culmination of years of Brian's perfectionist productions and songwriting. Critics praised Pet Sounds, but the new direction failed to impress American audiences. Though it reached the Top Ten, Pet Sounds missed a gold certificate (the first to do so since the group's debut LP). Conversely, worldwide reaction was not just positive but jubilant. In England, the album hit number two and earned the Beach Boys honors for best group in year-end polls by NME -- above even the Beatles, hardly slouches themselves with the releases of "Paperback Writer"/"Rain" and Revolver. The Beach Boys' next single, "Good Vibrations," had originally been written for the Pet Sounds sessions, though Brian removed it from the song list to give himself more time for production. He resumed working on it after the completion of Pet Sounds, eventually devoting up to six months (and three different studios) to the single. Released in October 1966, "Good Vibrations" capped off the year as the group's third number one single and still stands as one of the best singles of all time. Throughout late 1966 and early 1967, Brian worked feverishly on the next Beach Boys LP -- a project named Dumb Angel, but later titled SMiLE, that promised to be as great an artistic leap beyond Pet Sounds as that album had been from Today. He drafted Van Dyke Parks, an eccentric lyricist and session man, as his songwriting partner, and recorded reams of tape containing increasingly fragmented tracks that grew ever more speculative as the months wore on. 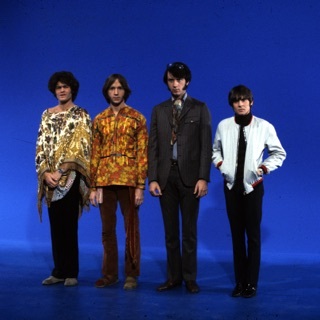 Already wary of Brian's increasingly artistic leanings and drug experimentation, the other Beach Boys grew hostile when called in to the studio to add vocals for Parks lyrics like, "A blind class aristocracy/Back through the opera glass you see/The pit and the pendulum drawn/Columnaded ruins domino/Canvas the town and brush the backdrop" (from "Surf's Up"). A rift soon formed between the band and Brian; they felt his intake of marijuana and LSD had clouded his judgment, while he felt they were holding him back from the coming psychedelic era. As recording for SMiLE dragged on into spring 1967, Brian began working fewer hours. For the first time in the Beach Boys' career, he appeared unsure of his direction. If SMiLE ever appeared salvageable, those hopes were dashed in May, when Brian officially canceled the project -- just a few weeks before the release of the Beatles' Sgt. Pepper's Lonely Hearts Club Band. In August, the group finally released a new single, "Heroes and Villains." Very similar to the fragmentary style of "Good Vibrations," though a distinctly inferior follow-up, it missed the Top Ten. That fall, the group convened at Brian's Bel Air mansion-turned-studio and recorded new versions of several SMiLE songs plus a few new recordings and re-emerged with Smiley Smile. Carl summed up the LP as "a bunt instead of a grand slam," and its near-complete lack of cohesiveness all but destroyed the group's reputation for forward-thinking pop. As the Beatles were ushering in the psychedelic age, the Beach Boys stalled with the all-important teen crowd, who quickly began to see the group as conservative, establishment throwbacks. The perfect chance to stem the tide, a headlining spot at the pioneering Monterey Pop Festival in summer 1967, was squandered. Though the Beach Boys regrouped quickly -- the back-to-basics Wild Honey LP appeared before the end of 1967 -- their hopes of becoming the world's preeminent pop group with both hippies and critics had fizzled in a matter of months. All this incredible promise wasted made fans, critics, and radio programmers undeniably bitter toward future product. 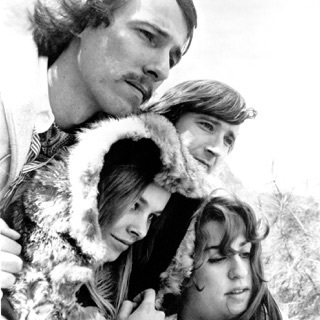 Predictably, both Wild Honey and 1968's Friends suffered with all three audiences. They survive as interesting records nevertheless; deliberately under-produced, with song fragments and recording-session detritus often left in the mix; the skeletal blue-eyed soul of Wild Honey and the laid-back orchestral pop of Friends made them favorites only after fans realized the Beach Boys were a radically different group in 1968 than in 1966. Sparked by the Top 20 hit "Do It Again" -- a song that saw the first shades of the group as an oldies act -- 1969's 20/20 did marginally better. Still, Capitol dropped the band soon after. One year later, the Beach Boys signed to Reprise. Carl and the Passions: So Tough, the first album released with Fataar and Chaplin in the band, descended into lame early-'70s AOR. For the first time, a Beach Boys album retained nothing of their classic sound. Brian's mental stability wavered from year to year, and he spent much time in his mansion with no wish to even contact the outside world. He occasionally contributed to the songwriting and session load, but was by no means a member of the band anymore (he rarely even appeared on album covers or promotional shots). Though it's unclear why Reprise felt ready to take such a big risk, the label authorized a large recording budget for the next Beach Boys album. After shipping most of the group's family and entourage (plus an entire studio) over to Amsterdam, the Beach Boys re-emerged in 1973 with Holland. The LP scraped the bottom rungs of the Top 40, and the single "Sail on, Sailor" (with vocals by Chaplin) did receive some FM radio airplay. Still, Holland's muddy sound did nothing for the aging band, and it earned scathing reviews. Trumpeted by the barely true marketing campaign "Brian's Back!," 1976's 15 Big Ones balanced a couple of '50s oldies with some justifiably exciting Brian Wilson oddities like "Had to Phone Ya." It also hit the Top Ten and went gold, despite many critical misgivings. Brian took a much more involved position for the following year's The Beach Boys Love You (it was almost titled Brian Loves You and released as a solo album). In marked contrast to the fatalistic early-'70s pop of "Til I Die" and others, Brian sounded positively jubilant on gruff proto-synth pop numbers like "Let Us Go on This Way" and "Mona." However idiosyncratic compared to what oldies fans expected of the Beach Boys, Love You was the group's best album in years. (A suite of beautiful, tender ballads on side two was quite reminiscent of 1965's Today.) After 1979's M.I.U. Album, the group signed a large contract with CBS that stipulated Brian's involvement on each album. However, his brief return to the spotlight ended with two dismal efforts, L.A. (Light Album) and Keepin' the Summer Alive. The Beach Boys began splintering by the end of the decade, with financial mismanagement by Mike Love's brothers Stan and Steve fostering tension between him and the Wilsons. By 1980, both Dennis and Carl had left the Beach Boys for solo careers. (Dennis had already released his first album, Pacific Ocean Blue, in 1977, and Carl released his eponymous debut in 1981.) Brian was removed from the group in 1982 after his weight ballooned to over 300 pounds, though the tragic drowning death of Dennis in 1983 helped bring the group back together. In 1985, the Beach Boys released a self-titled album that returned them to the Top 40 with "Getcha Back." It would be the last proper Beach Boys album of the '80s, however. Despite the many quarrels, the Beach Boys kept touring during the early '90s, and Mike and Brian actually began writing songs together in 1995. Instead of a new album, though, the Beach Boys returned with Stars and Stripes, Vol. 1, a collection of remade hits with country stars singing lead and the group adding backing vocals. Also, a Brian Wilson documentary titled I Just Wasn't Made for These Times aired on the Disney Channel, with an accompanying soundtrack featuring spare renditions of Beach Boys classics by Brian himself. Just as the band appeared to be pulling together for a proper studio album, though, Carl died of cancer in 1998. Ten years after his first solo album, Brian became aware of his immense influence on the alternative rock community; he worked with biggest fans Sean O'Hagan (of the High Llamas) and Andy Paley on a series of recordings. Again, good intentions failed to carry through as the recordings were ditched in favor of another overly produced, mainstream-slanted work, Imagination. By early 1999, no less than three Beach Boys-connected units were touring the country -- a Brian Wilson solo tour, the "official" Beach Boys led by Mike Love, and the "Beach Boys Family" led by Al Jardine. 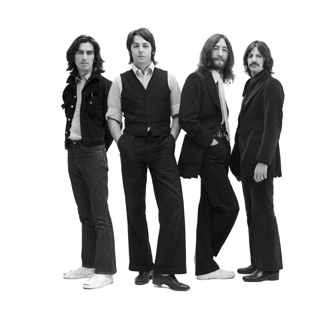 In 2000, Capitol instituted a long-promised reissue campaign, focusing on the group's long out of print '70s LPs, and updated remastering of the '60s LPs followed soon after. Brian Wilson continued his solo career into the 2000s with a string of popular albums, including a live run-though of Pet Sounds (Pet Sounds Live) and, in 2004, a concert tour as well as a re-recording around SMiLE. The surviving members next united in 2006 to commemorate the 40th anniversary of Pet Sounds. Two years later, however, Jardine was forced to settle a lawsuit brought by Love and Carl Wilson's estate over the use of the Beach Boys' name in his touring band (which was renamed the Endless Summer Band).